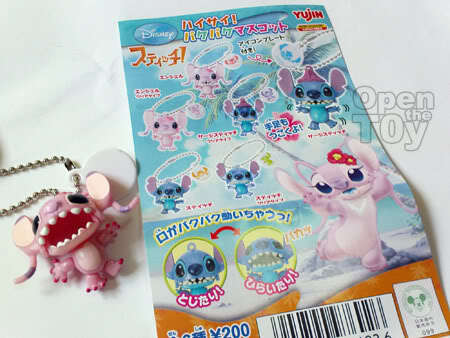 Was outside ToyRus that day and I saw this cute Capsule for just S$2 for a go for Disney Stitch keychain. It was from Yujin and the they really look cute. As the percentage of getting a Stitch is quite high, 4/6 I manage to dig out 2 S$1 coin and gave it a go. The toy in this series offer some action. The mouth can actually be open and close. Both limbs can actually shake as well. Not bad for a S$2 key chain. It is cute. I got Lilo and stitch figurines at home too after watching the movie. That 'Angel' keychain look creepy to me..lol.. If it can also make some sound, that would be great for u! Ha ha. Indeed and for S$2 is a catch! it will make a nice necklage. i love it.